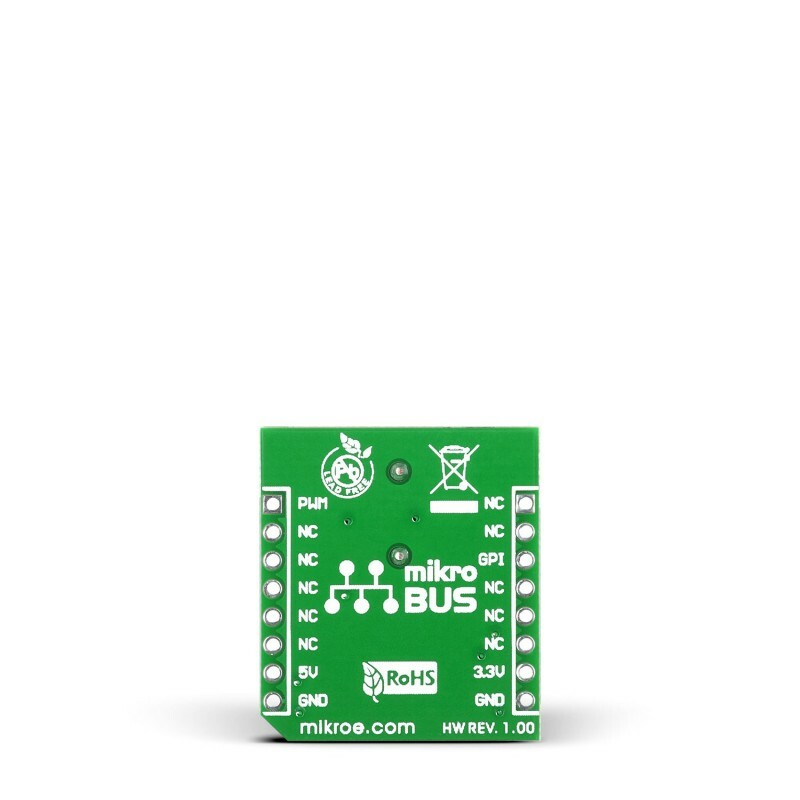 BUZZ Click is an accessory board in mikroBus™ form factor. 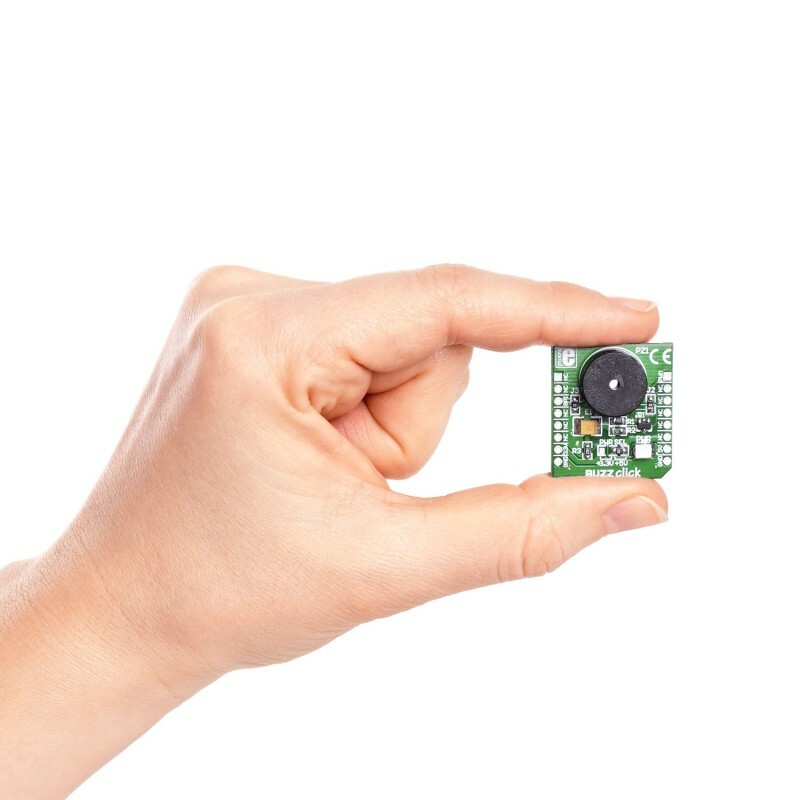 Board features a piezo speaker capable of emitting audio signals.Buzzer’s resonant frequency is 3.8kHz (where you can expect it’s best performance). 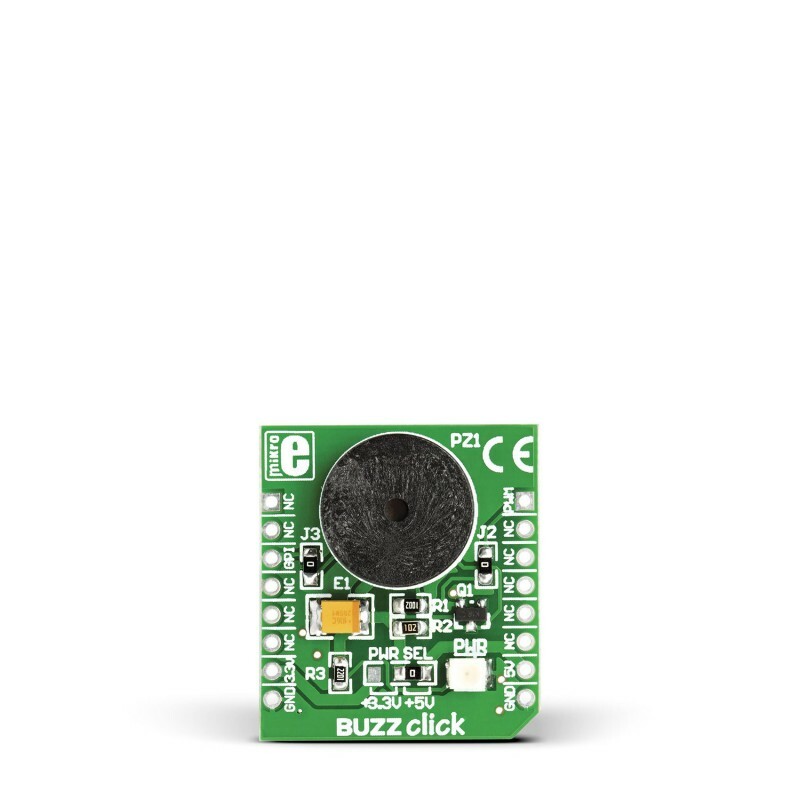 BUZZ Click is an accessory board in mikroBus™ form factor. Board features a piezo speaker capable of emitting audio signals. Buzzer’s resonant frequency is 3.8kHz (where you can expect it’s best performance). On-board buzzer driver is connected to both digital (CS) and to PWM line. You can use either of those two to provide the signal from the microcontroller to the buzzer driver. Board is set to use 5V power supply by default. Solder PWR SEL SMD jumper to 3.3V position if used with 3.3V systems. 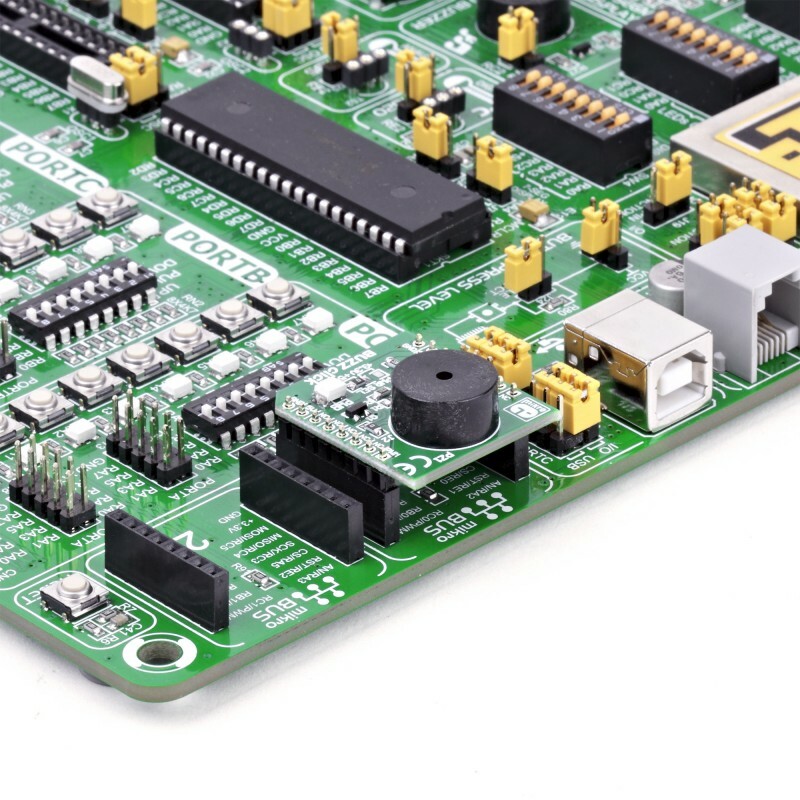 Applications Board is ideal for adding audio signalization feature to your prototype device.